Make shrimp as directed on package. In small bowl, mix yogurt and curry powder. 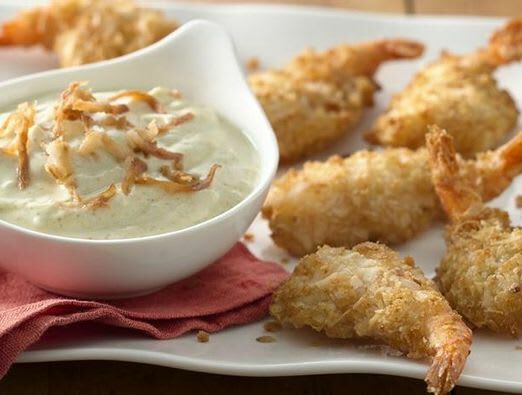 Serve shrimp with yogurt mixture as dip. For an extra-special touch, sprinkle toasted coconut over the dip before serving. This dip is also amazing with chicken tenders, cut-up fresh veggies or served over grilled cauliflower steaks.